“What could history have been?” The question asks how events might have turned out otherwise, if only X had happened instead of Y. What if JFK hadn’t been assassinated? What if Hitler had? The official term for this kind of what-if thinking is “counterfactual history,” and it covers anything from an academic’s earnest attempt to imagine the US economy without railroads to Quentin Tarantino’s WWII redux Jewish revenge fantasy, Inglourious Basterds — anything, that is, which imagines history as it did not happen. Yes, you read that correctly: did not live but could/should have. To which we might reasonably ask: differently how? differently why? If you’re not a historian, it’s easy to forget the conundrum at the heart of the discipline: historians need to produce accounts of a past that is no longer present. Whereas the experimental scientist can step into the laboratory to test a hypothesis, the historian, while often aspiring to similar standards of objectivity, can’t just hop in the time machine to verify a thesis. Instead she relies on primary sources, which must be selected, authenticated, and synthesized into a narrative that will meet the critical standards of other historians. These standards change over time, producing different ideas about how best to “move between now and then.” There is no one right way to do history. Only, one might say, evolving conventions. That said, there are dominant tendencies that make some conventions seem possible and others unthinkable. 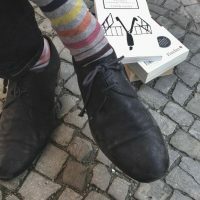 One such tendency — the roots of which extend all the way back to the discipline’s self-conception as a science in the 19th-century university — is to downplay the role of the imagination. The motive here is simple enough: historians don’t want their efforts to be confused with pseudo-historical fantasizing or straight-up fiction. If they were, history would lose its central claim to authority: the superior ability to represent the past as it really was. Anxiety over this issue has led many practicing historians to identify with the sciences, which place a premium on empirical evidence, while turning their backs on the arts, which are more commonly associated with creativity. But the problem with efforts to separate “serious” historical practice from good ol’ yarn spinnin’ is that such parsing can set up a false binary between fact finding on the one hand and imaginative activity on the other. Take, for example, the following quote from a recent book by the eminent historian, Richard Evans: “Historians have always considered it their first task to find out what did happen, not to imagine what might have happened.” The target here is the contemporary counterfactualist, whose work Evans would like to see relegated to the realm of “speculation,” where it can be safely cordoned off from “serious study of the past.” The distinction is a crucial one for Evans, who fears that the “recent fashion” for what-if history is but one facet of a postmodern colossus that “threatens to overwhelm our perceptions of what really happened in the past, pushing aside our attempts to explain it.” No doubt many would sympathize with these concerns. But by opposing the serious work of “finding out what did happen” to endeavors that “imagine what might have happened,” Evans sets up a dichotomy that leaves precious little room for a third possibility: imagining what did happen. Fact and fiction? That’s right. But before the credentialed historians out there reach for their sidearms, consider that this provocative prompt, rather than proposing to collapse any meaningful distinction between the true and the not-true, might instead be evoking a different idea; one that lies buried in fiction’s etymological root in the Latin, fingere, for “form-giving, shaping.” From this perspective, the word “fiction” bears a resemblance to the Aristotelian sense of “imagination” above. It speaks to the processes by which all historians, once they have gathered their evidence, must organize and shape (we might even say figure) the material so that it can be shared as a narrative — as a thing, made of words, and having the form of a story. The invocations of premodern definitions are not as arbitrary as they may appear — they’re actually inspired by Burnett’s idea, explored elsewhere, that some of this recent work on the historical imagination can be understood, “not merely as a brave new world of postmodern anything-goes-ism, but rather as the reanimation of a number of significant premodern historical practices.” The larger point here being that the “traditions” of writing history are themselves historical; that they have changed, and are likely to do so again in the future. Thus, the need for What History Could Have Been: a space to encourage, explore, and experiment with such changes. And so it came to pass that a group of five actually existing historians gathered to imagine and memorialize the lives of five historians who’d never existed. Though they interpreted their task in widely differing ways, all shared the same adventurous approach to the creation of form and content. Remaining in character, the speaker followed this story with another about the (once existent though now deceased) art critic Harold Rosenberg. Rosenberg goes South “looking for art,” only to be disappointed by the murals and museums he finds there. Throughout the tour he stops in auditoriums to present slides of famous paintings to a consistently stony-faced public. Instead of describing the images, he intones the last names of their creators with affected solemnity: “Gottlieb.” “Pollock.” Thirty seconds for each. The point is clear enough: this is what real art looks like. Though Rosenberg himself is unmoved by the images. In fact, the only thing to rouse Rosenberg’s interest is an up-close encounter with segregation. “This happens? Everyday? In the United States of America?” he exclaims, feeling “amazed by the ordinariness of it all.” Amazed — but no more. Officially, his critical attentions are reserved for what the high priests of culture (himself included) have anointed as “art.” Everything outside this sphere, the ordinary stuff, is beneath sustained consideration. The same, however, cannot be said of Wade, who we learn once wrote an entire book on the same subject: Maximum Representation: The Public Art of Desegregation. What was going on here? A story about a non-existent art historian, followed by another about a once-existent art critic. The sly juxtaposition pitted Rosenberg’s classic definition of “art” (typified by his slideshow) against Wade’s more capacious (or was it really just more perverse?) understanding. In so doing, the borders of our aesthetic categories — including the idea of the “aesthetic” itself, or the belief that art is only art when it is found on museum walls and contemplated with disinterest — were thrown into question. What would an art history look like that did not seek the so-called “extraordinary” in say, a painting by Pollock or Gottlieb, but in whatever captured our astonishment? Political movements. Street conversations. Even — or especially — the stuff of “the ordinary.” What art histories might then be made? It’s an open question to me which aspects of self are available in a scholarly context — and I’m talking about the viewer or recipient here. There’s a certain scholarly experience that restrains parts of ourselves, and I want to question that. Though it’s still crucial for me that what I do remain scholarly, as elastic as I’d like that term to be. It’s still crucial, in other words, that the endeavor be devoted to knowledge. Taking a very different, though no less imaginative tack, John Tresch (University of Pennsylvania) kicked off his presentation by announcing an extraordinary “discovery.” While conducting archival research at the Bibliothèque Nationale in Paris, he’d stumbled upon a “forgotten text” in the pages of the late-nineteenth-century anarchist journal, Le Libertaire. The article, provocatively titled Scoundrel History and Utopian Method, was signed “une luteuse” (a struggler). 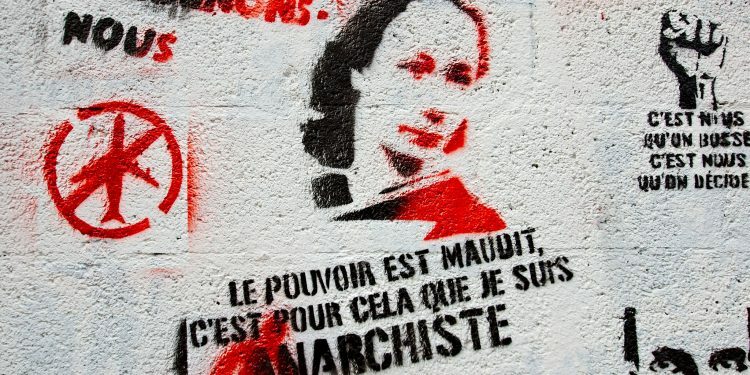 “Everyone at the time knew it was by Louise Michel,” said Tresch, “It’s undeniable.” Known to her contemporaries as “The Red Virgin of Montmartre,” the colorful biography of the real-life Louise Michel included stints as a school teacher, a leader in the Paris Commune, an ethnomusicologist in exile, and a science fiction novelist. “I wish I’d invented her,” Tresch joked. “She’s unbelievable. Like a character from a Hugo novel.” No, Tresch hadn’t invented her. 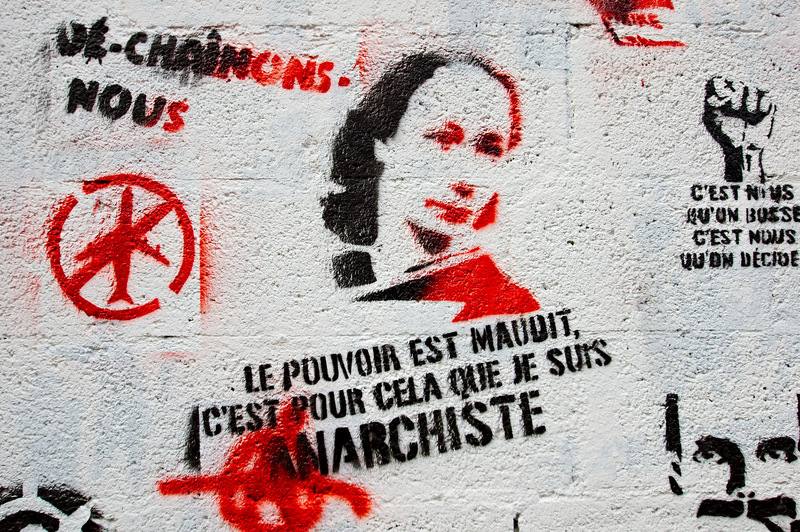 But the same could not be said (or not with confidence, anyway) of the article he’d “discovered” in the pages of Le Libertaire (which, to complicate the matter further, was a journal the actual Louise Michel had helped to publish with her fellow anarchist Sebastian Faure). Having stitched a dazzling costume out of dazzling costumes, Tresch launched into a dramatic reading of the text: a first-person account of Louise’s youthful encounter with the forgotten (wink wink) utopian revolutionary, Monsieur Octave Obdurant, who, we later learn, is actually a Mademoiselle . The story, rife with period details, witty dialogue, and uncanny twists and turns, took us to the heart of Octave Obdurant’s secret lair, where (s)he had built a machine capable of modeling with, it was alleged, mathematical certainty, the dynamic interactions of money, ideas, aspirations, politics, and social order — a giant revolution-calculator, an astrolabe of human history past, present, and to come. How much of this, if any of it, ever happened? Of course, one could check one’s phone as Professor Tresch spoke, and thresh the wheat of fact from the chaff of invention (Was that Professor Pettman googling Octave Obdurant from the front row? Or was he just tweeting another wry, relatable comment?) But making the audience do that work didn’t seem to be the point. What were we listening to, anyway? A fictional article purported to have been published in an actual journal chronicling the imagined encounter between a real historical character and an invented one? Was this any different from fiction with a historical twist? Or history within a fictional frame? Were these even the right questions to be asking? In the Q&A that followed, it was suggested that Tresch was “writing source material as a way of showing how profoundly he had researched and synthesized his period and his subject.” Now, from the perspective of current norms in professional scholarship, writing source material is grounds for excommunication. But instead of asking “is this still history?” and thereby invoking pre-established disciplinary boundaries, a more interesting question was put forward: what historical possibilities does the writing of source material open? If the ultimate point is to convey the mood of 19th-century utopian aspirations, or to reveal what it was like for a person to be formed by a 19th-century polytechnic institute in Paris, might we conceive of a methodology that puts analytical rigor and documentary research at the service of invention? The details of Tresch’s piece were rooted in his profound historical knowledge, just as the ideas his characters espoused reflected his deep familiarity with the revolutionary climate of the epoch (on ample display in his “real” scholarship). What if Tresch’s immersion in the idiom of the 19thcentury enabled him to conjure a time and a place in a way that no more sober historical account could ever hope to do? Or if that makes the piece seem safely like a particularly obsessive instance of historical fiction, what if we asked whether learning to write a piece like Tresch’s ought to be understood as “learning history”? At first, it seemed as if the final presentation from Winnie Wong (Berkeley) would mark a return to the kind of staid historicizing Tresch’s tale so colorfully eschewed. The premise, at least, was straightforward: Wong, embodying a “scholar-official” from Guandong’s “provincial biographical administration” in China, read from a report commissioned in the 9th year of the Jiaqing reign (1804) upon the death of one Pan Youhe, “the first noted connoisseur of the primitive cloth paintings of the Western Ocean Barbarians.” Written in a dry, facts-forward style (which failed to stifle the whiff of bureaucratic pomposity), the report chronicled what the administration had been able to reconstruct from the scattered papers of the recently deceased. To sate his curiosity, Pan set upon the radical idea of cultivating an emissary to send abroad. (As a wealthy merchant’s son with a sickly constitution, he wouldn’t have dared dream of making the voyage himself.) Down at port, he found a young and illiterate clay-modeler blessed with a photographic memory. Pan trained the artisan, gave him the travel name of Chit Qua, and sent him on his way. Chit Qua arrived in London in 1769, where his figure-making abilities were so admired by the simplistic Englishmen that they believed him to be one China’s great artists. He was quickly introduced to the distinguished men of the land — even to King George himself — and made figures of many of his encounters. By report’s end, it was clear the disarmingly sober tone of Wong’s scholar-official was in fact a Trojan Horse designed to smuggle decentering questions into the heart of the Eurocentric art historical tradition. Our glimpse of Pan Youhe’s perspective (refracted through the preening chauvinism of a Chinese bureaucrat) had turned us Westerners into “the other.” From that point of view, fresh questions glinted forth on the horizon: Why indeed the obsession with realism? Was it not, as Pan believed, a little childish to focus so relentlessly on the world as it appears to the human eye? And was it not in fact a little strange to have accorded the masters of these techniques the highest honors of society? Seeing our system of knowledge (and representation) through another, its invisible assumptions suddenly appeared in a curious — and hilarious — new light. In other words, we had taken a turn through the archive — if on the kick-scooter of a literary conceit. The traveling clay-modeler sent to England on a merchant ship? In the record. His unlikely encounter with King George? In the record. All of it, down to the Chinese teen who traveled to England and attended the prestigious Seven Oaks boarding school during his seven-year stay, was in the record. Far from a flight of fancy, Wong’s story was the product of what Foucault once called the “gray, meticulous, and patiently documentary” business of research. The invention of the Pan Youhe figure had simply enabled her to present a perspective that was already there, latent in the attitudes of a time and place. And is that not the historian’s task? To make the past “live”? To bring it “to life”? but we are, I think, less attentive than we might be to the contingencies of “history” as a scholarly practice. There, we tend to display a dogmatism that would seem to be hard to reconcile with the sensitivity to dynamism and diversity that marks the best historical scholarship. It stands to reason that there are many ways of arbitraging or negotiating or activating or closing the distance that separates “now” from the many “thens” of the past — many ways that we are not currently using. And in a world of rapid and radically changing cultures of literacy and visuality and information, there is a good chance we will be needing more and different tools. the way it let historians “do theory” by doing what we do best: telling historical stories. In that sense, this kind of symposium clips the loop of history and theory, and reattaches the ends with a twist — like a Möbius strip, which has, of course, only one surface, not two. The theory becomes a kind of history, and vice versa. Poetry in the deep sense of Poïesis — an act of making, or even conjuring; which is to say, a sense that we had seen history being made — history being known through a kind of participatory practice that, at its best, sought something like “communion” with its subject matter. This is not the knowledge that seeks objectivity in distance, but the kind of knowledge that is achieved through something like convergence and intimacy: a participatory ethnography of the past. The seminar, it’s worth pointing out, might just be the best place for these kinds of questions, as the urgent need to ask them may ultimately come not from scholars, but from students. Lest we forget, there is a much-documented, much-bemoaned “crisis of the humanities” going on across the country. While enrollments are low and lowering, the disappointing response of most Humanities departments has been to plead for their existence on the basis of the ability to impart instrumental skills. Read Milton or Melville, so the story goes, and you’ll be a better consultant. Being able to evoke a genuine 1848er or 1871er in the form of a brief diatribe in a journal from the period seems to me like a much more promising way of continuing to activate an engagement in the human past than many of the things that are currently happening in history departments. What could history have been? What could it be? The great feat of the symposium was to make “singing the thinking about the kinds of creatures we are” sound like a plausible — even a necessary — answer. Matthew Strother is a graduate student in the Liberal Studies program at The New School for Social Research.